Perfect for recessed downlighting applications, the BAS XSPS Series is a sleek, compact mount fixture that’s easy to install. Plus, weather-resistant finish and a tempered glass seal will keep the BAS XSPS Series looking new and shining bright all year round. Enjoy ultra-efficient performance and the highest lumen output per dollar for up to 100,000 hours of use in drive-thrus, pavilions, covered walkways and other commercial canopies. Die-formed aluminum provides extreme durability against anything life throws at it. Tempered glass offers a water-resistant seal. 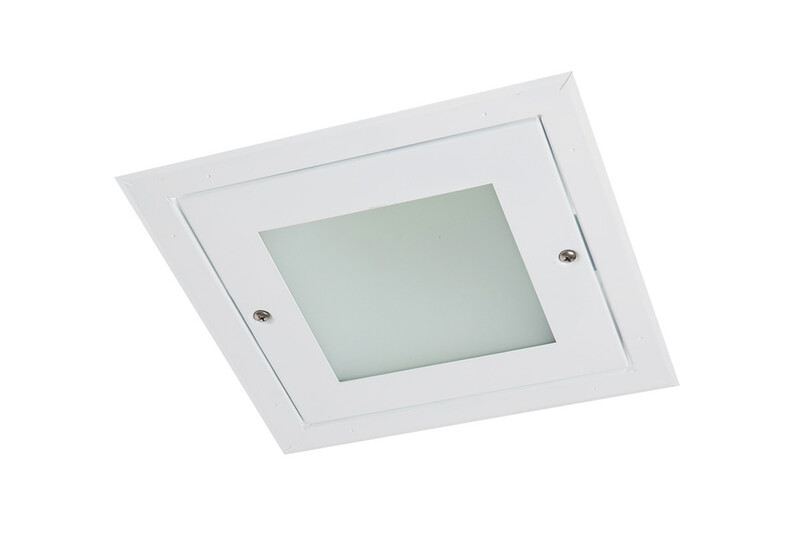 Easily installed directly to soffit surface in either retrofit or new construction applications. A lumen output range of 4,541 to 5,631 means we can meet your footcandle requirements. A diffused lens provides symmetric light distribution. A 5000K color temperature keeps spaces bright and alert, perfect for applications with shallow plenum areas.